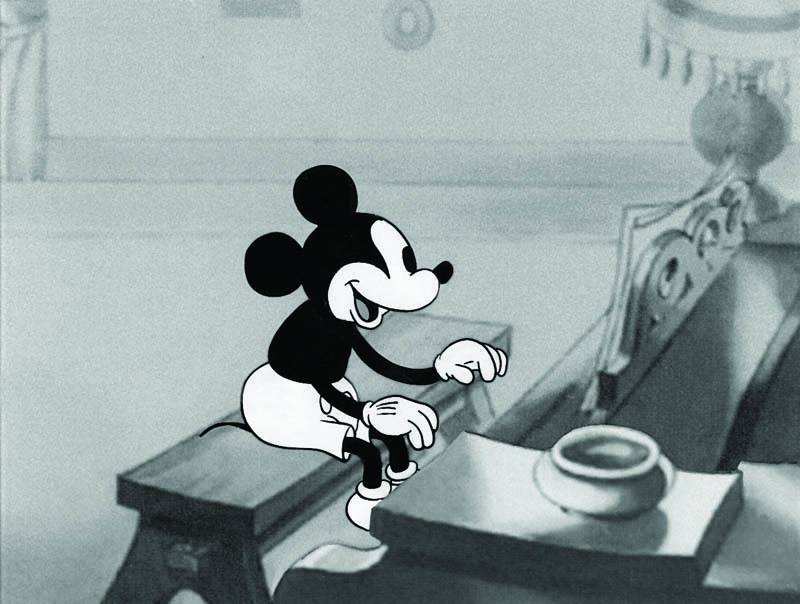 Few images are as classic as Mickey seated at a piano. Don't forget he started his career as a musically-inclined riverboat deckhand tickling the improvised ivories in “Steamboat Willie," and he certainly didn't waste any time getting right down to a real piano as soon as he could—the very next year, in fact, in “The Opry House.” By the time he made “Puppy Love," only a handful of years later and still very early in his game, he could run up and down the keys with the best of them, rarely missing an opportunity. His auspicious black-and-white era encompassed seven years and 74 shorts, of which “Puppy Love” was number 59. 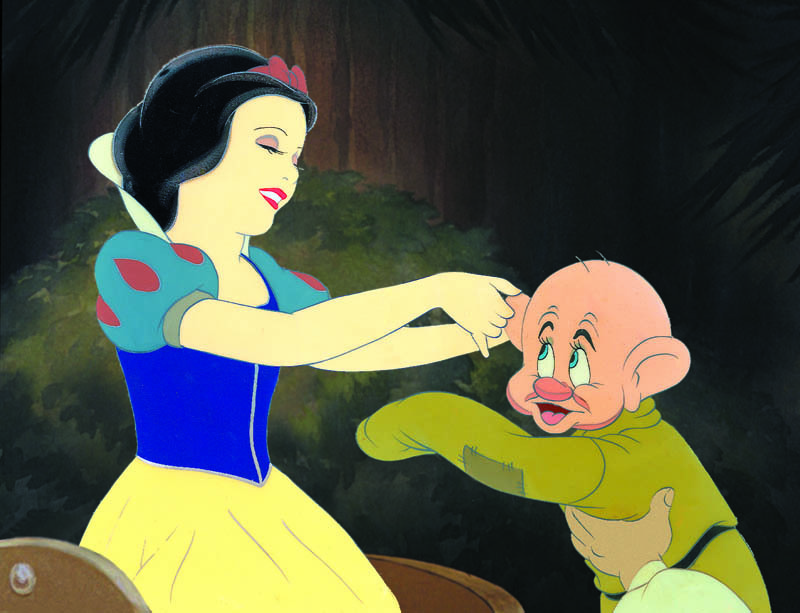 This ideal image from the short in which he and Pluto mix up their gifts to Minnie and Fifi, causing more than a little trouble before things get straightened out, is practically a wish come true. Mickey is 3-3/4", hand inked on a 12-field cel, with the early two-hole Hyperion punch, and he is singing the “Puppy Love" song on a perfectly key master giclée background with overlay. Disney, 1933.